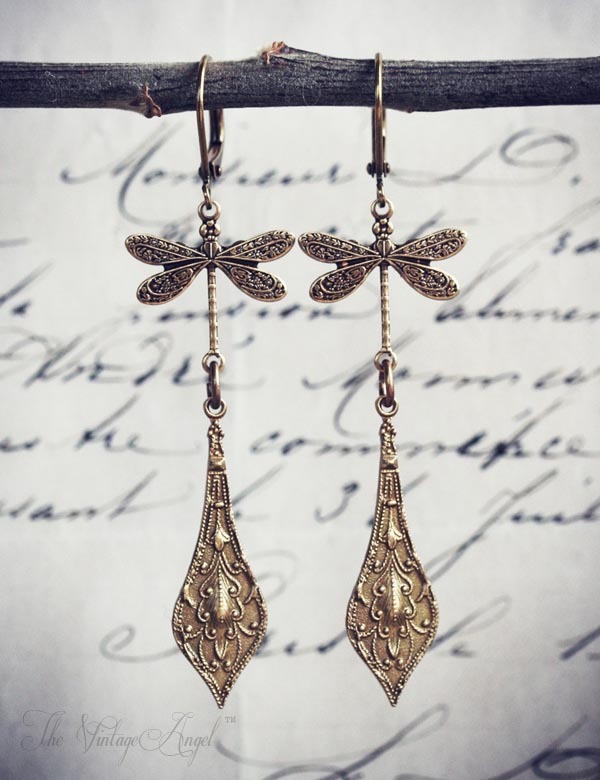 Romantic Art Nouveau style dragonfly earrings with so much embossed detail in antiqued brass. These are lightweight despite their lengh and will be kept safely in place with the leverback hooks. Leverback hooks, components are lead and nickel free brass. 2.25 inches long including hooks.